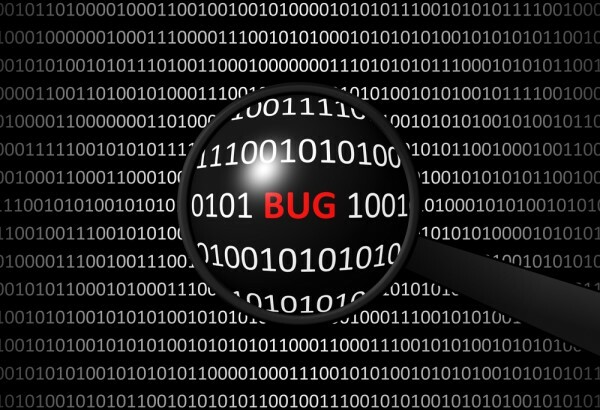 According to a new study 43 percent of app developers spend between 10 and 25 percent of their time debugging application errors discovered in production, rather than developing new features. The survey carried out by ClusterHQ found that a quarter of respondents report encountering bugs discovered in production one or more times per week. Respondents were also asked to identify the most common causes of bugs. These were, inability to fully recreate production environments in testing (33 percent), interdependence on external systems that makes integration testing difficult (27 percent) and testing against unrealistic data before moving into production (26 percent). When asked to identify the environment in which bugs are most costly to fix, 62 percent selected production as the most expensive stage of app development to fix errors, followed by development (18 percent), staging (seven percent), QA (seven percent) and testing (six percent). "Our Application Testing survey highlights that legacy software development practices, like relying on narrow subsets of synthetic data for testing, no longer cut it for teams focused on maximizing the amount of time they spend building features that users value," says Mark Davis, CEO of ClusterHQ. "Forward looking software developer leaders understand that to deliver innovation to customers they must effectively manage the entire application lifecycle across a diverse range of infrastructures, a process that begins with identifying and eliminating bugs as early as possible so that teams can focus on adding end-user value". While 88 percent would like the ability to test with realistic data during application development there are real challenges that prevent this from being the norm. The biggest of these is reported as keeping test data up-to-date (23 percent), followed by moving data to all the places it’s needed for testing (19.5 percent), keeping track of different versions of data (19.5 percent), managing access controls (18 percent), making copies of production data (14 percent) and storage costs (six percent). The full survey results are available on the ClusterHQ website. To address the problems identified, the company is launching two new products, FlockerHub and Fli, to allow DevOps teams to seamlessly move data between laptops, test environments, data centers and clouds, with version and access controls in place. These will be unveiled at KubeCon 2016 in Seattle next week.